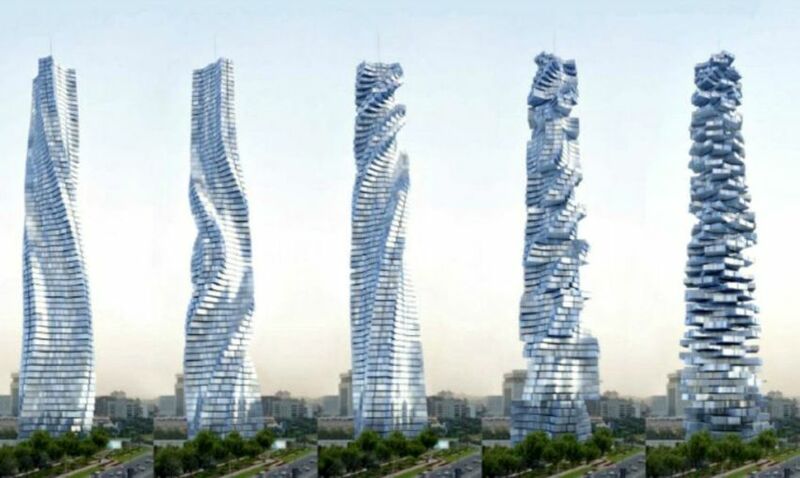 In 2008, Israeli-Italian architect David Fisher first proposed the idea for a wind-powered rotating skyscraper. 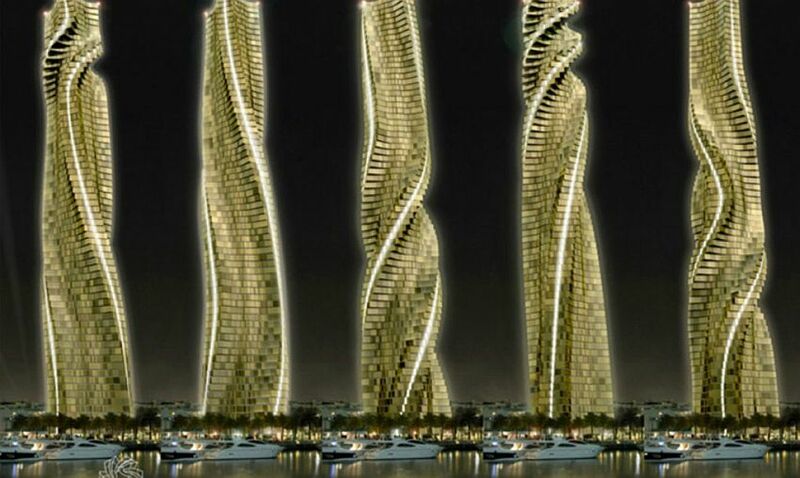 Ever since, the project has undergone numerous design changes to finally receive a go ahead from Dubai authorities. Dubbed Dynamic Tower – this hotel will be a 1,375-foot-tall high-rise comprising 80 rotating stories. The structure is proposed to be completed by 2020 for an estimated cost of $445million. 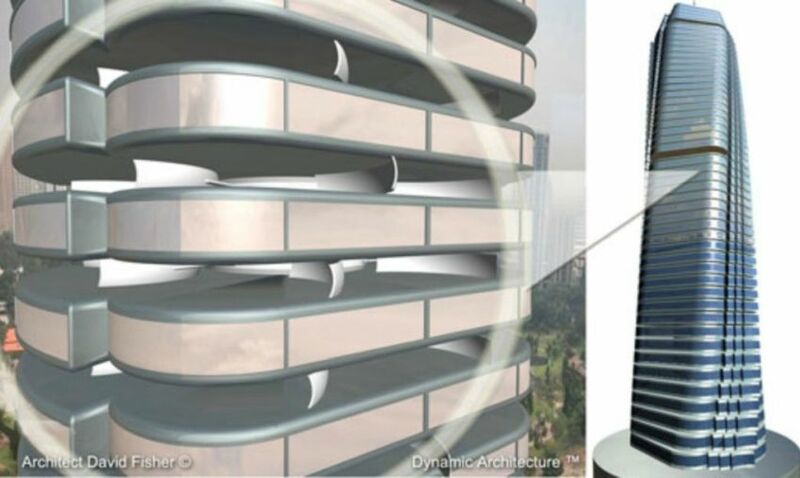 Dynamic Tower will be a self-powered building. The entire building will be powered by solar and wind energy. Roof of the skyscraper will be installed with solar panels, while there will be 48 wind turbines installed meticulously between two floors to provide power. Fisher claims, the solar panels and wind turbines together will generate almost 10 times more power than actually required by the structure. In spite of the sustainable profile, the biggest perks of the building will be its unique twisting feature. 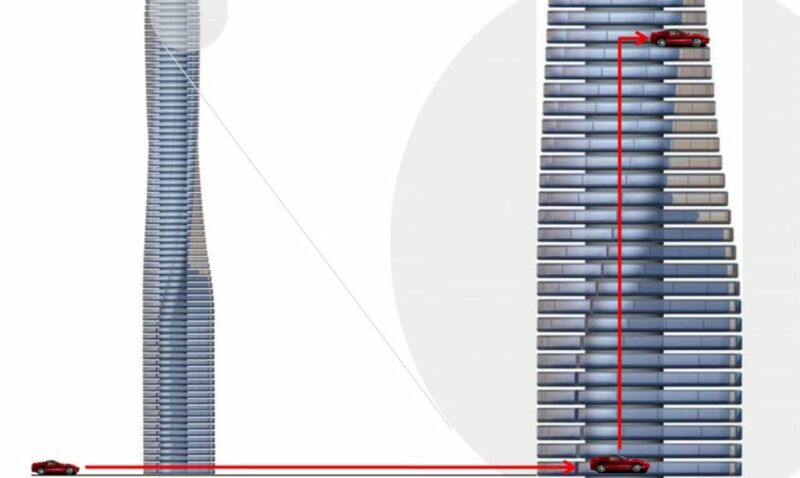 Each of the 80 stories of the high-rise will rotate 360-degrees independently. Residents will be able to control the speed and decide the location in which the floor stops with simple voice commands. Dynamic Tower will be a hotel, but some of its floors will turned into apartments, each of which would cost roughly $30million. 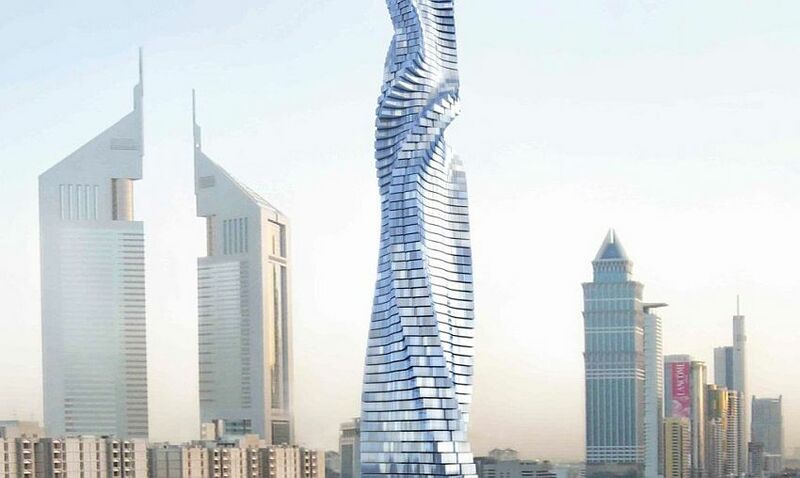 The sustainable rotating skyscraper will have swimming pools, fitness centers, car lifts and luscious gardens to add to its fascination.